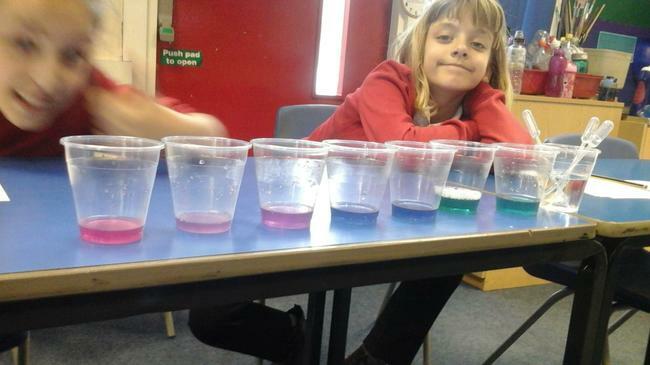 5LB - Testing out different materials. 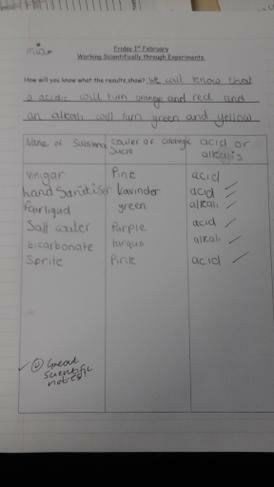 - How to make it a fair test. 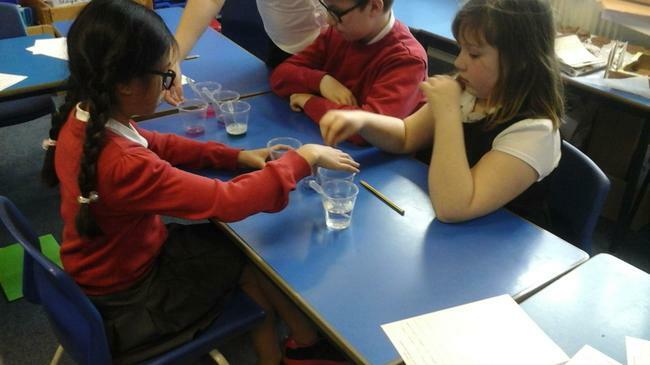 The children worked with sugar cubes, water, sugar paper, tissue paper and tin foil to work out which materials are the most absorbent. 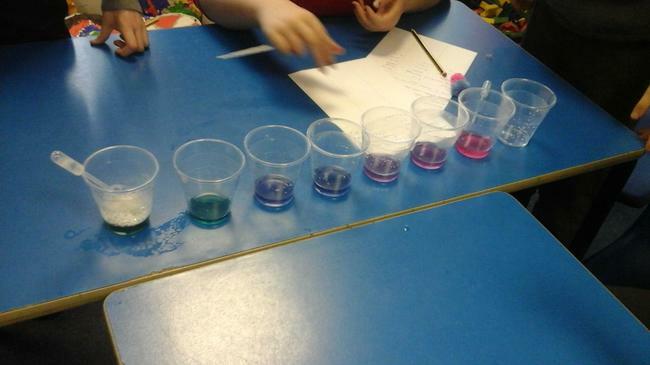 The children enjoyed experimenting and were able to then explain their findings and why they think they happened. 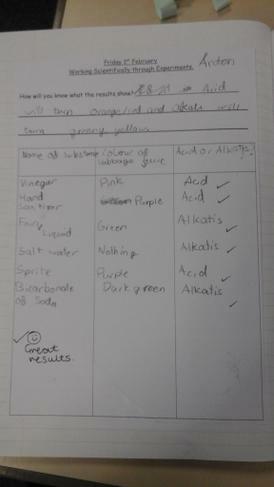 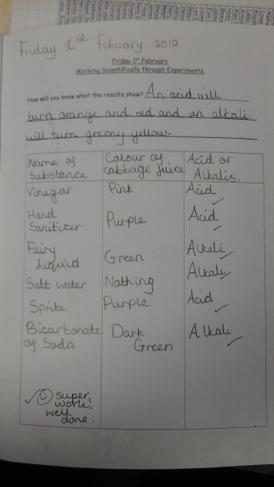 The children in year 5 continued working scientifically by looking at the PH of different household items. 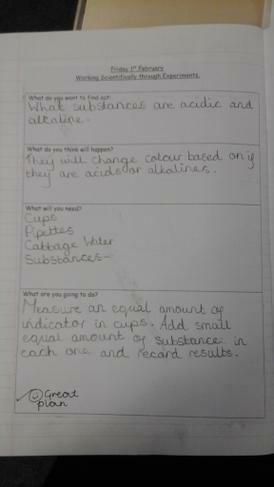 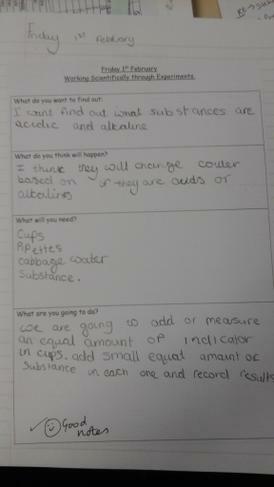 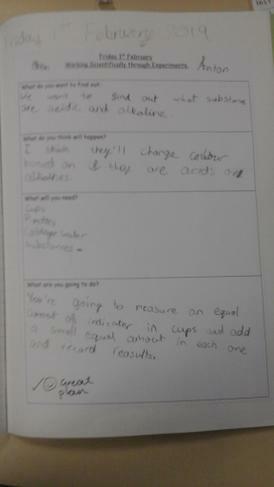 We first discussed what an alkali and an acid was. 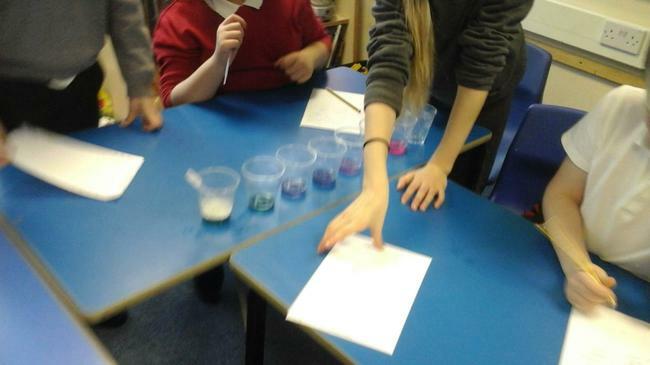 The children then looked at household items and predicted which they thought they were and to what strength. 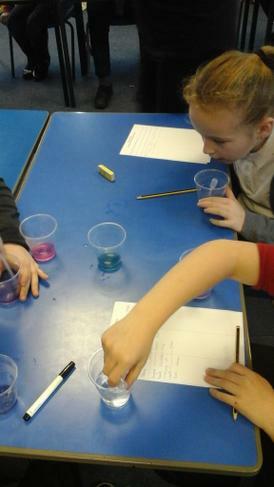 The children were then told that we were going to investigate some items we might find in our cupboards. 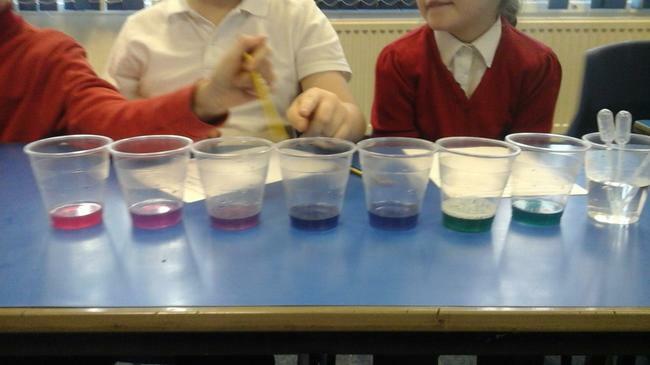 The children were fascinated to watch the changing colours and were able to explain what these colours meant using the PH scale. 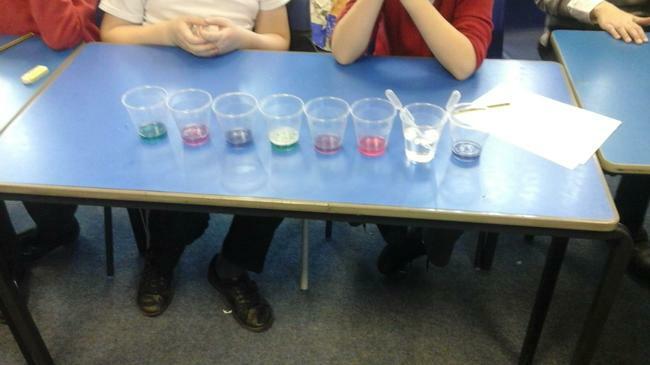 Watching the colours change was amazing!